There have been stranger films made, but not many . . . This was made in 2010 as a joint venture between Poland and China to commemorate the 200th anniversary of Chopin. I don't think it was released in the US, but you can stream it on Amazon.com. Lang Lang in a serious Magic Asian role as a genie pianist who helps Heather Graham, an ambitious professional mother trying to close a deal on her "dream home," not stress out as much and pay more attention to her kids. This film is structurally quite original. After a short introduction in which Graham brings her two kids to a Lang Lang recital while negotiating a Blackberry smartphone, it breaks into a 25 minute stop-motion music video of excerpts from Chopin's Etudes with no dialogue. This, I suppose, represents the recital. When it ends, Graham walks on stage to look for her kids and runs into Lang Lang himself, who directs Graham to peer into a telescope mounted on the piano, which hurls graham into an adventure that echoes the stop-motion short film you just watched. Graham flies around on a concert grand looking for her kids, who are flying around on the flapping deconstructed grand piano from the animated short. Lang Lang first appears as a reflection in the fallboard and music stand of Graham's flying piano, which is a neat effect (he even plays in the reflection and the keys match up!). Later he turns into an apparition sitting next to Graham, and later still turns into flesh and blood. There is a spinning wheel on the "Flying Machine" with the places that Chopin lived and visited in his short life, which the children use to navigate to different locales in Europe: Vienna, Paris, Poland, etc. The narrative of Chopin's biography is interspersed with one-liners from Graham and a visually rich surrealist landscape, all set to Chopin's music played by Lang Lang. I have always been somewhat cool on Lang Lang. I know the hype and the criticism. Sometime around 2005-06 I saw him perform the Tchaikovsky 1st and it made almost no impression on me whatsoever. I have listened to a couple of his CDs, but never found anything I felt I could really defend. I thought the recordings used for this film were probably the best Lang Lang I've been exposed to, and I will probably buy his Chopin disc sometime and give it a whirl. It is clear that Lang Lang doesn't lack technique. He has complete control, he can play soft, he can voice-lead, he can play runs with articulation. If anything, the problem people have with Lang Lang is that he is too eager to show that he can do all these things. He doesn't know how to hold back. If you ask ten aficionados what their favorite part of their favorite performance of their favorite piano piece is, they will probably say the part where the pianist holds the climax or goes into a sudden pianissimo. With Lang Lang, you will get about 3-4 "favorite" parts in each two-measure phrase. If only he could figure out that you can't eat ice cream for every meal. The best part of this film are the jokes. At one point, in a particularly trying moment for Graham, she blurts impatiently: "Enough with the stupid faces, this is serious!" (Is Lang Lang capable of self-depracating humor?) During the Revolutionary Etude, Graham says: "I think I've heard this one before." The moment that Graham's Blackberry falls off the piano is played perfectly--this is obviously a commentary on contemporary life that the filmmakers worked on. At the end of the journey, the kids land the Flying Machine on a monument in Poland (I think) and turn into the statue. To help them, Lang Lang reminds Graham that Chopin never forgot the dances of his native land, and Graham goes into a routine. "If this ends up on Youtube you're history," she says. Jokes, jokes. The darling of China's classical music has a busy year ahead, with many concerts and recordings in the works. Chen Nan reports. It's 9 pm at a five-star hotel in Beijing. Lang Lang is running late for an interview, but his agent explains that the delay is because he is busy playing the piano. He sat down to practice as soon as he arrived in the capital from Shanghai. Ten minutes later, he arrives in the hotel room. Dressed casually, the pianist says that despite his tight schedule, he tries to practice two hours every day. "The biggest challenge as a pianist is not practicing enough. It's important to keep thinking and analysing in practice," he tells China Daily. If it can be done, the Chinese pianist has done it, and all he wants to do is continue to break new ground. On June 14, Lang Lang performed at an event celebrating the 70th anniversary of the United Nations at Renmin University of China in Beijing. He also turned 33 on that day. In 2012, Lang Lang made a promise to himself that he would always spend his birthday playing the piano in a special way. Sony Music also released a DVD, a recording of two recitals he gave in November 2013 at London's Royal Albert Hall, as a gift to his fans in China. The tickets to the shows sold out within 48 hours. The pianist played a two-part programme of Mozart and Chopin as well as eight encores. "Sitting in the middle of the venue, I felt like a boxer or a gladiator with the audience surrounding me, standing up, waving their hands and cheering," he recalls, his eyes sparkling with excitement. So far, the pianist has performed at the Royal Albert Hall 18 times since he made an acclaimed BBC Proms debut there. A music critic for the British newspaper The Times wrote: "Lang Lang took a sold-out Royal Albert Hall by storm. This could well be history in the making." On April 20 and 22 this year, the pianist performed at the venue again and debuted a piece of his own, entitled Lang Lang Waltz, which he wrote at age 15. He composed the work soon after he studied in the United States in 1997, and it reflects the influence that period had on his music. "I like recording beautiful tunes in my phone when I practice. Maybe one day, that material will turn into my compositions," he says. "I get inspired when I travel, such as the glittering lake of Switzerland and the cities I have never been to," he adds, mentioning one performance that he looks forward to is the Changbai Mountain Forest Music Festival in Jilin province. Running through August this year, the festival will see the pianist perform amid mountains, rivers and a waterfall on Aug 28. Before that, Lang Lang will fly to Paris and record a new album at Versailles, which will be released in October this year. The album will feature works including the full performance of Tchaikovsky's Seasons, from January through December, and Chopin's four scherzos. "No pianist ever performed in the Palace of Versailles. I like doing something which has never been done before," he says. For the pianist, who has an ever-ready smile and cheerful energy in public, the pressure is always high. Lang Lang began playing the piano at age 3 and moved from his hometown, Shenyang, Liaoning province, to Beijing to pursue his music study accompanied by his father, Lang Guoren, who is known as a typical "tiger parent". In 1997, he went on to study in the US, where he met his mentor Gary Graffman at Curtis Institute of Music. He had his breakthrough at age 17 when he was called to replace Andre Watts and performed Tchaikovsky's Piano Concerto No 1 with the Chicago Symphony Orchestra. Lang Lang going to France this year . . .
Lang Lang is in the first edition of the Youtube series "When Professional Pianists Play on the Street." He plays part of Chopin etude Op. 25 No. 11 and a chunk of Rach Third on a painted upright in the middle of what looks like a high school campus. I think its moments like this that show Lang Lang in the best light: an essentially unpretentious pianist willing to interact with anyone and put on a show. 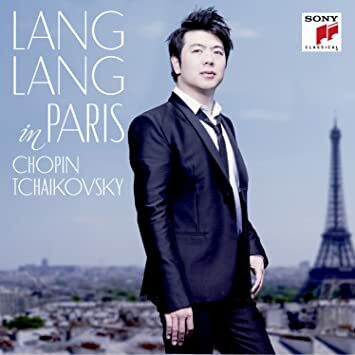 Lang Lang is 4:06 to 7:05. An official video recap of METALLICA's January 18 concert at LeSports Center in Beijing, China can be seen below. Also available is footage of the band performing the song "Creeping Death" at the same show. As previously reported, METALLICA was joined by Lang Lang during Beijing gig. As expected, the Chinese concert pianist played METALLICA's classic song "One" from the "…And Justice For All" album. METALLICA previously performed the track with Lang Lang in January 2014 at the 56th annual Grammy Awards. In announcing its collaboration with Lang Lang at the Beijing concert, METALLICA called their joint appearance at the Grammy Awards three years ago "one of the most creative, unique performances of our career." Grammys executive producer Ken Ehrlich told ABC News Radio about how METALLICA's collaboration with Lang Lang came about: "METALLICA's manager was in China and he met with a guy who presents Lang Lang there, and they just started talking about it. Independently, I actually had called [METALLICA's] manager and said, 'Look, we're interested in you in the Grammys this year,' and the first thing out of his mouth was, 'How about us and Lang Lang?'" "Somehow the METALLICA team had this great idea to work together," Lang Lang told the Sarasota Herald-Tribune. "The Grammys are basically a stage for synthesizing music together. It's a perfect stage for musical friends to be united." He added: "They were such cool people and I had a wonderful time working with them. 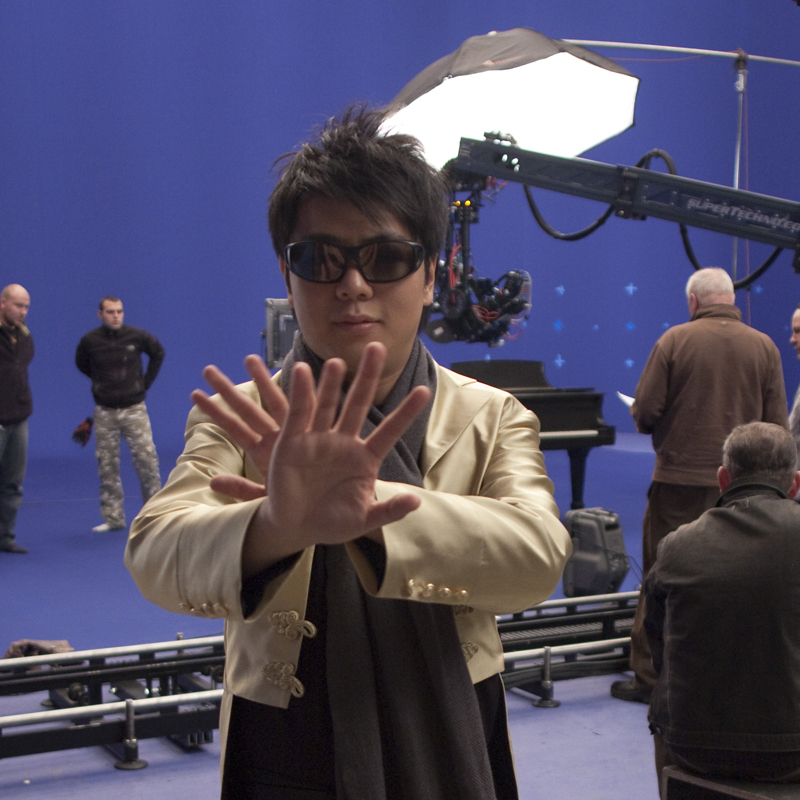 "Now everywhere I go, particularly in America, everyone is talking about it," Lang Lang said. "Even checking into a place, going through customs, people say, 'Wow, you played really great!'" During the rehearsals for the Grammy Awards, METALLICA drummer Lars Ulrich told Artisan News about playing with Lang Lang: "Well, I would like to think that on a broader scale that music is music. We have a tendency in METALLICA to not look much beyond that in terms of definitions. But, obviously, he's a very talented musician, he's a very dynamic musician, he projects himself very well. I mean, when he plays, he's really full of energy and he's got a lot of kind of showmanship and kind of energy that protrudes off the stage and right into people's hearts and souls. So I would like to think that it's a good collaboration." METALLICA guitarist Kirk Hammett told Rolling Stone that the band's performance at the Grammy Awards was "completely insane." He explained, "Lang Lang has interjected himself into the song in a way I don't think anyone else has ever done in the course of our career. He's playing major parts of the song. He's playing through the melody." Hammett told The Pulse Of Radio that the song's arrangement highlighted Lang Lang's playing without changing the song. "We're not lightening up the song just for him," he said. "We're still hanging onto all the heavy parts and it's gonna be amazing. He's just an amazing pianist, and at one point he's, like, weaving in and out of my guitar solo and playing parts of my guitar solo with me. That's interesting. I've never, ever experienced that ever before with anyone we've ever played with." "One" was the first single released from METALLICA's 1988 album "…And Justice For All", becoming the first song from the band to gain substantial commercial radio airplay. It was also the basis for the first music video the group ever did.